We have been proudly serving the industry since 1990. 28 years of reliability that you can trust! The stencils you need, when you need them. Virtually all orders ship within one day! 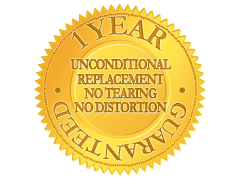 All stencils have a one year unconditional replacement guarantee against tearing or distortion. 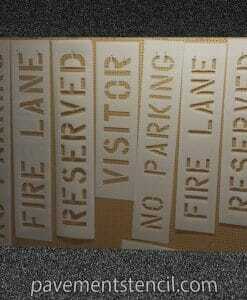 With normal commercial usage our stencils should last three to five years or longer! We use a proprietary 1/10" orthopedic grade low density polyethylene plastic, superior in use and durability to our competitors 1/8" Maxi. 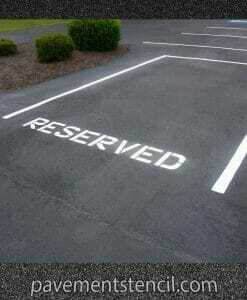 You will appreciate the quality, durability, flexibility, ease of cleaning, and clean cut design. 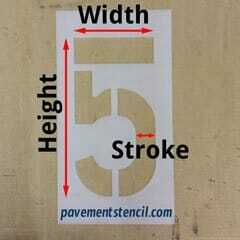 The size of a stencil character is determined by: Height, Width, and Stroke. Sizes from 1" to 144" are available. on two or more items. We are the ONLY AUTHORIZED supplier for McDonald's, Starbucks, and Jiffy Lube. Don't settle for imitations. 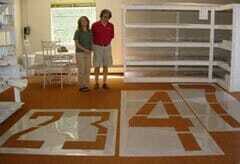 Alphabet and number sets up to 36" are available with our exclusive interlocking Stencil-Fast® Interlock feature.